WASHINGTON – (RealEstateRama) — U.S. Secretary of the Interior Ryan Zinke announced today that over 1,900 local governments around the country will receive $552.8 million in Payments in Lieu of Taxes (PILT) funding for 2018. This is the largest amount ever allocated in the program’s 40-year history. This continues to underscore the Trump Administration’s commitment to local communities. A full list of funding by state and county is available at www.doi.gov/pilt. PILT payments are federal payments to local governments that help offset losses in property taxes due to non-taxable federal lands within their boundaries. PILT payments help local governments carry out such vital services as firefighting and police protection, construction of public schools and roads, and search-and-rescue operations. The payments are made annually for tax-exempt federal lands administered by the Bureau of Land Management, the National Park Service, the U.S. 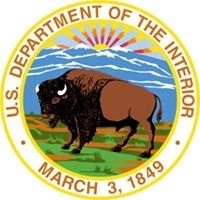 Fish and Wildlife Service (all agencies of the Department of the Interior), the U.S. Forest Service (part of the U.S. Department of Agriculture), and for federal water projects and some military installations. PILT payments are one of the ways the federal government can fulfill its role of being a good neighbor to local communities. Using a formula provided by statute, the annual PILT payments to local governments are computed based on the number of acres of federal land within each county or jurisdiction and the population of that county or jurisdiction. Since PILT payments began in 1977, Interior has distributed approximately $8.5 billion dollars to states and the District of Columbia, Puerto Rico, Guam, and the U.S. Virgin Islands. The Department collects more than $9.6 billion in revenue annually from commercial activities on public lands, such as oil and gas leasing, livestock grazing and timber harvesting. A portion of these revenues is shared with states and counties. The balance is deposited in the U.S. Treasury, which in turn pays for a broad array of federal activities, including PILT funding. Individual county payments may vary from year to year as a result of changes in acreage data, which is updated yearly by the federal agency administering the land; prior year Federal Revenue Sharing payments reported yearly by the Governor of each State; and population data, which is updated using information from the U.S. Census Bureau. Federal Revenue Sharing payments are made to local governments under programs other than PILT during the previous fiscal year, including payments such as those made under the Bankhead-Jones Farm Tenant Act, the Refuge Revenue Sharing Fund, the National Forest Fund, the Taylor Grazing Act, the Mineral Leasing Act, the Federal Power Act, and the Secure Rural Schools and Community Self-Determination Act of 2000, when authorized.